Celebrities are ubiquitous in American society. Our “culture of celebrity” as some have called it, can be very powerful, especially when it comes to endorsing products. And few products besides food and new cars are riper for celebrity endorsements than dietary supplements and related products, such as meal replacement products, functional foods, nutricosmetics, weight loss programs, and similar products that purport to help us feel and look better. What if the FTC comes after us and our endorser for false or deceptive advertising? What if a class action lawsuit is brought against us for false advertising, either a civil action or possibly from a state attorney general’s office? This article will answer these and other questions with regard to liability insurance. Just as important, the article will address the need to have a competent attorney—one familiar with the pitfalls of celebrity endorsements—who can counsel you on the inevitable contractual issues that arise when dealing with the Beverly Hills lawyer who will be representing the celebrity. As you can see, there is nothing in these examples that comes close to stating that an allegation of false advertising would be covered. There are also certain exclusions that apply to PAI. One of these exclusions was pivotal in a recent U.S. District Court case involving a dietary supplement company, Driven Sports, Inc., which sued its insurance company (General Star), claiming it should be covered for false advertising class action lawsuits under the PAI section. The specific exclusionary wording relied upon by General Star in this case is virtually standard in all commercial insurance policies sold in the U.S., and is called the Failure to Conform Exclusion. Essentially, it says no coverage is afforded arising out of the failure of your goods or products to conform to any statement of quality or performance made in your advertisement. So beware, your insurance will give you almost no sleep at night when you are contemplating the retention of a celebrity endorser. So now what? 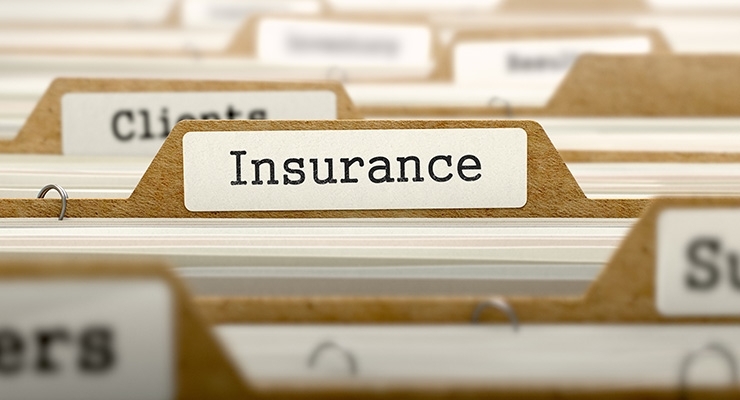 How do brand owners protect themselves in the absence of any meaningful insurance coverage? Although I am not an attorney, I can give you some advice on negotiating a contract with a celebrity endorser, and that is: Get a good attorney, one that is familiar with the complexities of structuring a contract with a celebrity endorser. In particular, the indemnification provisions of the inevitable written agreement between you and the celebrity are going to be very important because, as we have seen, liability insurance is likely not going to cover you for the legal actions often precipitated by celebrity endorsements. Nothing could be further from the truth. Contractual liability coverage does not unilaterally cover your indemnification of another party. The policy will cover you for what it promises to cover you for, and is further littered with written exclusions stating exactly what is not covered. If the legal action giving rise to an insurance claim is covered by the policy, that’s just fine. But if the indemnity agreement or another provision in the contract has wording we’ve seen, such as “your liability insurance will provide coverage to insure the performance of (your) indemnity obligations contained in paragraph X,” you are in for a nasty surprise when your insurer denies a claim based on what the policy does—or does not—cover. The takeaway from this article is quite simple: If you are considering a celebrity endorser, do not rely on your liability insurance to cover you for much of anything in the event you are sued for those things commonly alleged when a celebrity endorser is involved. Find a good lawyer who already knows this and will structure a contract that limits your indemnification of the celebrity to a narrow band, and in turn seeks indemnity from the celebrity for certain torts or wrongful acts he or she may commit.